GIVE US A RING OR EMAIL NOW TO TRY US OUT - NO OBLIGATION! From just £99 a month: HR and employment law support with all the trimmings! 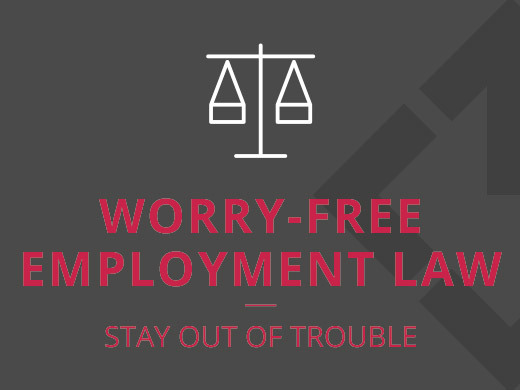 Email/phone employment law support PLUS HR/business advice - outsource now! Letters, handbook, contracts and policies written/reviewed for you - no online library of templates that forces you to do the work!! ‘What do I do if…..?’ A-Z guide provided for when you need to act in an emergency! No faceless call centre! Same 121 advisor each time. Check out our brochure to view our Regular HR Support packages.